The Fall 2018 exhibition features over 200 images spanning 175 years of sports. For more information about Who Shot Sports: A Photographic History, 1843 to the Present and related events, visit artmuseumgr.org/whoshotsports. The Grand Rapids Art Museum (GRAM) announced today its fall exhibition opening Oct 27, Who Shot Sports: A Photographic History, 1843 to the Present. The exhibition will be on view at the Museum through Jan 13, 2019, and is the most comprehensive survey of the art of sports photography ever produced. Organized by the Brooklyn Museum, Who Shot Sports: A Photographic History 1843 to the Present highlights the aesthetic, cultural, and historical significance of the images and artists in the history of sports since the invention of photography in the 19th century. Visitors will see how the evolution of photographic technology enabled its practitioners to capture the human body in motion as it had never been seen before. "Sports are beauty in motion with a powerful competitive edge. The ancient Greeks celebrated their athletes, and the finest artists of antiquity preserved those athletes' achievements. Today, it is the photographers who give sports its indelible image," said Exhibition Curator Gail Buckland. "Seeing athletic greatness, we both recognize our personal physical limitations and delight in bodies and minds taken to new heights. To play and to watch is to be the moment. Still photographers are masters of moments." Comprising over 200 images in color and black-and-white from the past 175 years, Who Shot Sports: A Photographic History, 1843 to the Present presents an astonishing diversity of work by more than 150 photographers—including Richard Avedon, Al Bello, David Burnett, Rich Clarkson, Georges Demeny, Dr. Harold Edgerton, Brian Finke, Toni Frissell, Ken Geiger, LeRoy Grannis, David Guttenfelder, Ernst Haas, Charles “Teenie” Harris, Walter Iooss, Jr., Heinz Kleutmeier, Stanley Kubrick, Jacques Henri Lartigue, Neil Leifer, Étienne-Jules Marey, Bob Martin, Eadweard Muybridge, Catherine Opie, Leni Reifenstahl, Robert Riger, Howard Schatz, Flip Schulke, George Silk, Barton Silverman, and many others whose pictures may be celebrated but whose names are unknown. The exhibition is divided into nine thematic sections exploring different subjects within the field; The Beginning of Sports Photography; The Decisive Moment, which features Robert Riger's image of Baltimore Colts quarterback Johnny Unitas, nicknamed "The Golden Arm", in the 1958 NFL Championship against the New York Giants and Bob Martin's image of Serena Williams at the 2004 French Open; Fans and Followers; Portraits; Behind the Scenes; Vantage Point; In and Out of the Ring; For the Love of the Sports; and The Olympics, featuring images from the first modern Olympics in 1896 to the London Olympics in 2012. Accompanying the exhibition is a companion book of the same title, published by Alfred K. Knopf. 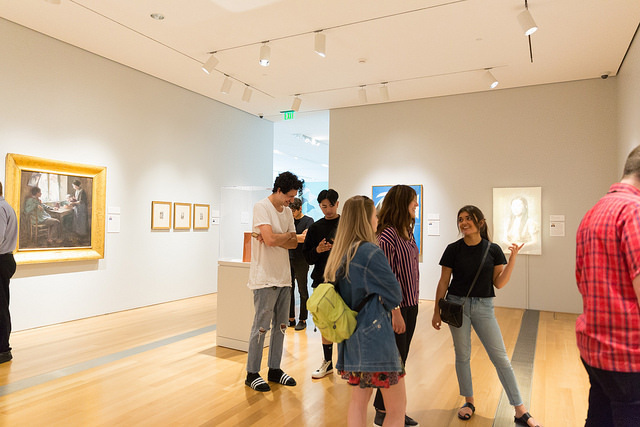 Complementing Who Shot Sports: A Photographic History, 1843 to the Present, GRAM members and the public can enjoy a variety of related events and programming, including the Member Exhibition Opening, GRAM After Dark: Jock Jams, Drop-in Tours, art-making workshops, and lectures. For a complete list of programming, visit artmuseumgr.org/whoshotsports. Join GRAM for an exclusive member preview of Who Shot Sports: A Photographic History, 1843 to the Present. Members enjoy complimentary hors d’oeuvres, a cash bar, and live entertainment by singer-songwriter Molly. 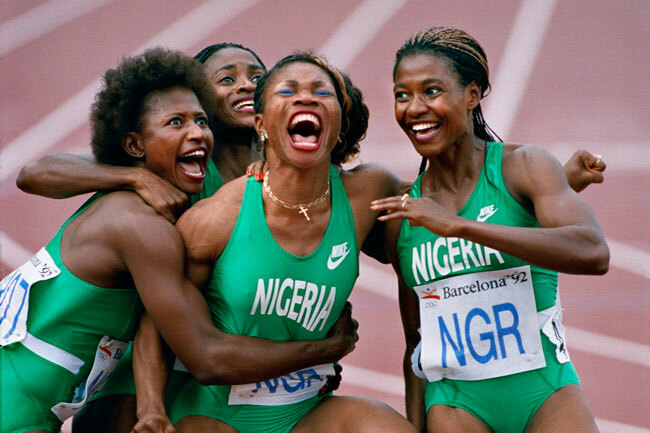 Curator Talk: Why Sports Photography at Museums Now? Join us for a presentation with Gail Buckland, exhibition curator of Who Shot Sports: A Photographic History, 1843 to the Present. The finest sports photographers do much more than record the winning goal, dunk, or tackle. They are on the front lines of human drama, preserving bodies in motion, giving shape to the emotions of victory or despair while capturing the spirit of the game and the nobility in athletic pursuits. In this presentation, Gail Buckland will discuss the stories behind these powerful images and her motivation for taking on this enormous, but exciting project. Join us for a unique tour that showcases what it takes to photograph the winning moment. Meet several professional sports photographers and athletes as they guide you through Who Shot Sports, stopping to share their insight on certain works along the way, and moments of that their own career that relate to the exhibition. Participants enjoy light snacks and a special keepsake. Connecting people through art, creativity, and design. Established in the heart of downtown Grand Rapids, the Art Museum is internationally known for its distinguished design and LEED® Gold certified status. Established in 1910 as the Art Association of Grand Rapids, GRAM has grown to include more than 5,000 works of art, including American and European 19th and 20th-century painting and sculpture and more than 3,000 works on paper. Embracing the city’s legacy as a leading center of design and manufacturing, GRAM has a growing collection in the area of design and modern craft. 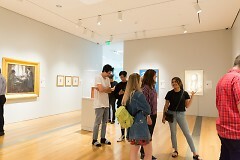 For GRAM's hours and admission fees, visit artmuseumgr.org or call 616.831.1000.